Hi all, I recently was given a intec/hipgear ps2 screen and I thought I would use it for a portable. I've searched this site a lot and found some info on the smaller screen pad and the gamecube screen. Anyway I dont have a huge understanding of electronics so I was wanting some help finding the pinouts. Ive provided a couple pics for reference. Also from what Ive read these screens run on 12v, is that correct? the ps2's video pinout is the same as the ps1's. heres a link. 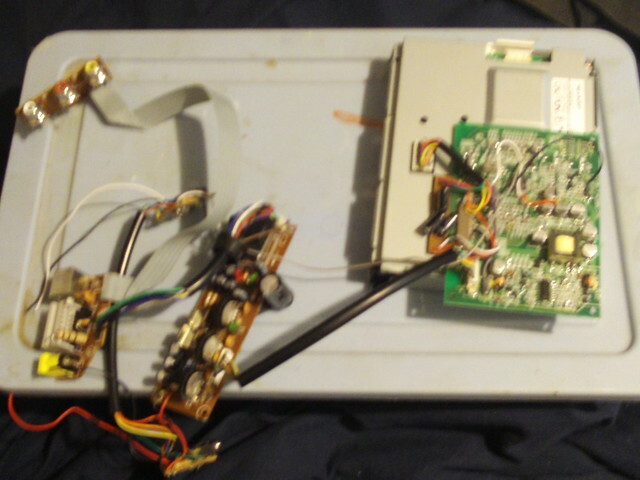 just take the part off that connects to the ps2's av port and wire it up.